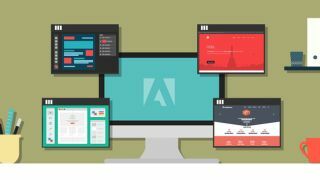 This bundle of 130 expert courses will make you an Adobe power user. Artists of all skill levels count on tools from Adobe to bring their work to life. You can learn how to take your creative projects to the next level with Adobe's programs with the courses packed into the Adobe Super Bundle. Get it on sale for just $39 (approx. £32)! Creatives of all kinds need to know their way around Adobe products if they want to make their work stand out. The Adobe Super Bundle makes it easy to learn how to make the most of Adobe's incredible suite. You'll get 130 courses that will walk you through the basics and finer points of each Adobe app until you master the powerful artistic tools so you can feel confident in whatever you make. The Adobe Super Bundle is valued at over $580. You can get this incredible course bundle for just $39 (approx. £32) – a savings of 93% off the retail price! You don't want to miss the chance to master Adobe apps, so grab it today!